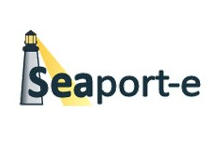 SeaPort-e | Adsys Controls Inc.
As of April 2, 2015, Adsys Controls is a proud recipient of the Navy’s SeaPort-e award! Adsys Controls has implemented a quality assurance program structured for compliance with ISO 9001:2008 requirements for Quality Management and scalable to a fully certified implementation as we grow. Specifically, we have implemented quality controls within our core business functions that monitor and strive to continually improve quality on an ongoing basis through such mechanisms as peer reviews, process audits, non-conformances handling and corrective action processes, etc. Also critical to our success is management of the quality we receive from our supply base, which is achieved via flow-down of reporting and quality deliverables for major subcontracts, management of a supplier database that includes past performance on previous contracts, and a strong receiving inspection process that is strictly imposed on all material receipts. © 2018 Adsys Controls Inc. All Rights Reserved.